A view of the console. 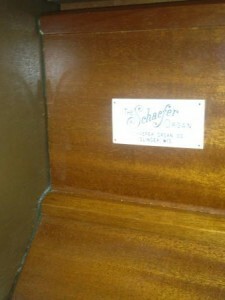 Complete restoration of the 1962 Schaeffer Organ. • Manual keyboards and pedalboard were rebushed, and new contacts were fitted. • A new console rectifier was installed. 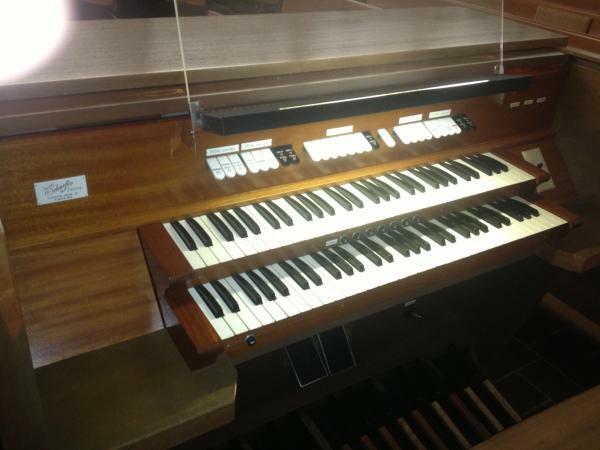 • The existing console interior wiring was completely replaced. 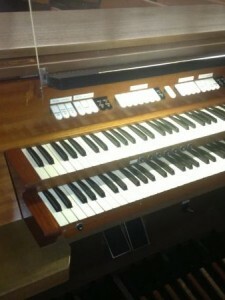 • Console woodwork was cleaned and missing veneer trim pieces were replaced. 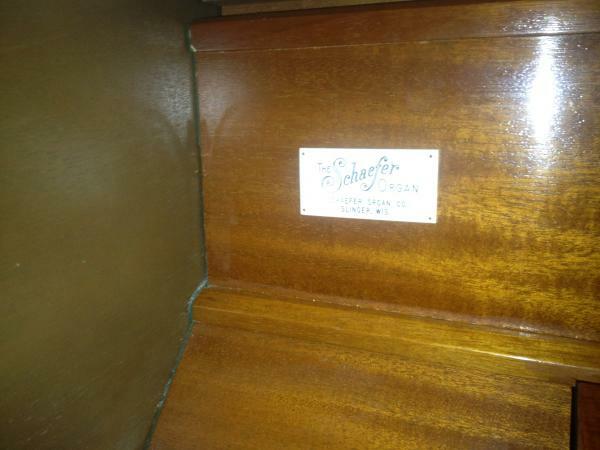 A new, custom designed and built solid state relay and combination action was installed in the console and organ chamber. All new, pvc-insulated color coded wiring was installed to connect the console and windchests to the new relay. 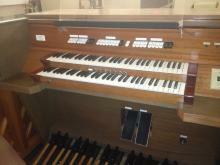 The organ was completely restored in 2014; please see that listing for complete details.